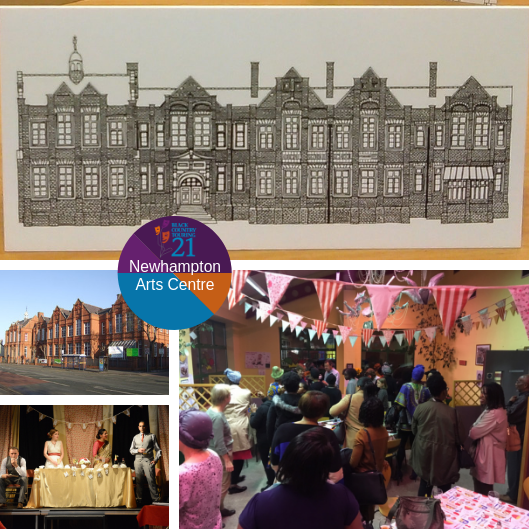 Newhampton Arts Centre (NAC), in Wolverhampton, has been one of our longest serving Promoter Venues. NAC, it’s staff and it’s community, have a very special place in the journey of Black Country Touring, as friends, volunteers and colleagues. For 17 years, Christine McGowan was at the helm of NAC and was utterly dedicated to our shared mission to make arts accessible to the communities of the Black Country. Enfants Terribles, The Man Who Planted Trees, everything by Long Nose Puppets, Al Bowley, The Boy who Bit Picasso, comedy with Barabara Nice, In Praise of Elephants, Wash, Bash Street Theatre and their windmill …. so many more. What have I missed? We were lucky to have this great relationship and long may it continue. Happy Birthday BCT! We’re now working closely with the new Chief Executive of NAC, Trevelyan Wright, and the rest of the NAC team to keep bringing high quality theatre and dance to Wolverhampton. Not only will be working with NAC for many more years to come… we’re holding our 21stBirthday Party there! Hopefully we’ll see you there, on Friday 19thOctober. Welcome To Our New Administration and Communications Co-ordinator!